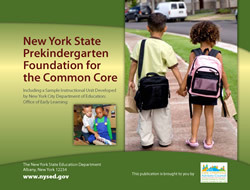 QUALITYstarsNY is one of three early childhood Quality Rating and Improvement Systems (QRIS) profiled in a new report series, Teacher's Voices, by the Center for the Study of Child Care Employment. 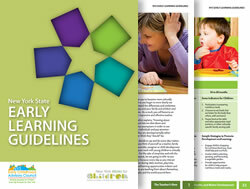 The report captures successes and continued opportunity for QUALITYstarsNY to promote positive work environments, while also shining a light on the persistent challenges facing the early learning workforce. Join our team as the Quality Improvement Manager for QUALITYstarsNY! Lead QUALITYstarsNY's work fostering continuous quality improvement in early care and education across New York State and oversee our team of knowledgeable and passionate Quality Improvement Specialists who provide direct support to our participating programs. The position is based in our Central Office in Brooklyn.